DANO Toys Featured on WCNC-TV! Congratulations to our Client, DANO,Â for their recent feature on WCNC-TV! 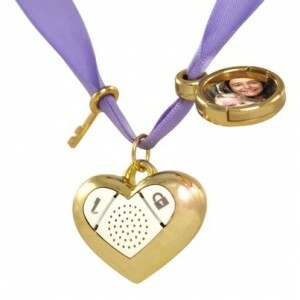 The iHeart Locket by DANO is the key to your kid’s digital diary. Push the key button to transmit a unique code that opens your iHeart Locket Diary App.Â The iHeart Locket is more than just a diary. You can capture your life with photos, stickers, drawings, and voice notes!Â Make your writing and sketching disappear by pushing the lock button to keep your secrets from being discovered.Â Express yourself! Talk to you iHeart Diary and it will magically write down everything you say while keeping a recording of you saying it.Â Photos saved to your diary can be printed out to perfectly fit the mini picture frame on your necklace.Â You can also save entire pages of your diary into your photos folder, and even export your entire Diary as an iBook! DANO entertainment takes play to the future by combining classic toys with exciting new apps. Check them out at www.dano2.com!